„Workshops“ is a new experimental series of releases by Phil Kieran and Jochem Paap (aka Speedy J). The idea behind this project is to explore the recording techniques used in the middle of the 20th century and dating right back to the mid 1950‘s. Famous inspirational places like ‘BBC Radiophonic Workshops’ in England and ‘Philips Lab’ in Holland have seen some of the most innovative production techniques, experimenting with the first use of stereo, modular synths, found sounds and reel to reel tapes. The end result was always something space age and promisingly futuristic and still to this day fresh sounding, crisp and exciting. Phil Kieran and Jochem Paap have decided to use this inspiration to effortlessly accomplish marrying the past, present and future in an innovative mix of old ideas with new. As Phil Kieran explains: „We want to try and create our sound source from a vintage palette, and then take it into something very high tech, we recorded some of these first ideas at Jochem’s studio in Rotterdam. I feel like we are only scratching the surface and I am so excited to really dig deep with this idea“. 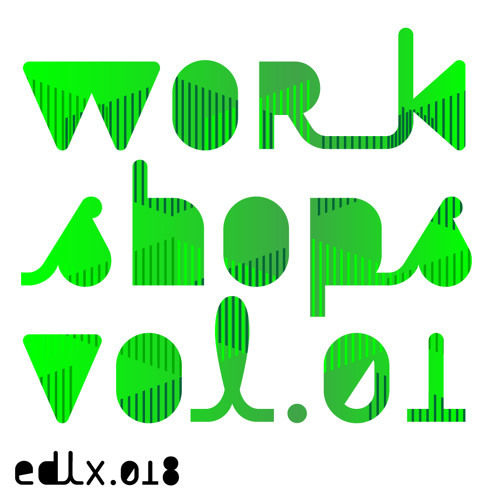 The first Issue of ‘Workshops Vol.1 EP’ consist of three flowing tracks with an inimitable organic and atmospheric appeal. A1: ‚Paint and Chemicals Dept. Dub’ is the most dance floor focused of the bunch. A dense and hypnotic bass drum blended with sublime layers of echoing soundscapes. B1: ‚Wood and Organic Dept’ starts off with a pendular bass which melts with drippy spaced out sounds to create a blissful audiocity through vintage sounds and time. B2: ‚Wood and Organic Dept. Dub’ the heavy cousin of B1 which leads back to the dancefloor with its raw industrial frequency build-ups and an uncompromising massive bass drum. The digital only passengers of ‚Workshops Vol.1 EP’ completes the picture:- Paint and Chemicals dept’ adds a trippy analogue feel to the A-Side. Whereas ‚Paint and Chemicals dept digital bonus’ is the fraternal twin evoking a deeply `Kubrickesque‘ atmosphere with its virtuoso sound dispersion. A perfect start for this promising new collaboration between two wizards of music knowledge who share a vision about pushing music with technology!